Traceable® Infrared Thermometer, -67—482°F (-55 —250°C) - Gilson Co.
Laser targeting Infrared Thermometer is a convenient size to carry all day. 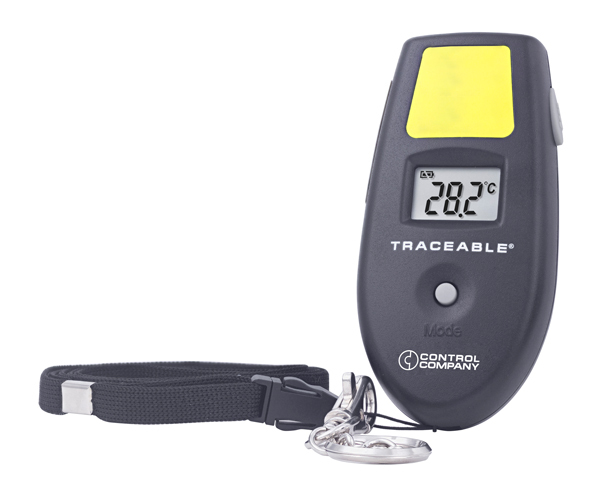 It is ideal for on the spot readings of surface temperatures in the field. Hold button freezes the display at the current reading, and emissivity is adjustable for maximum flexibility for different materials. Handy wrist band is included to prevent loss. Temperature range is –67 to 482°F (–55 to 250°C).